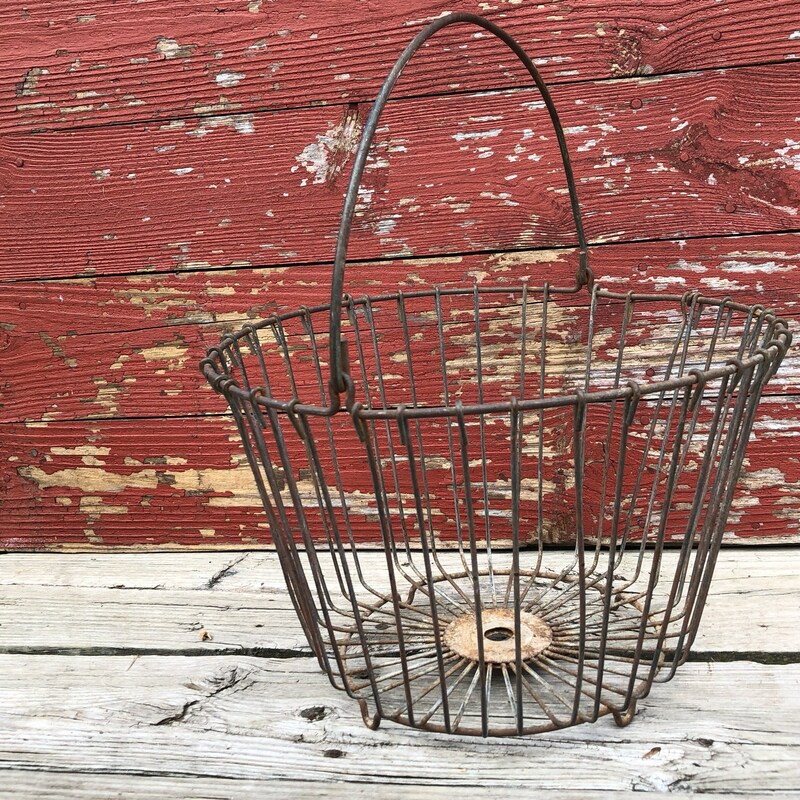 Lined with an old linen tea towel, these type of collection baskets have been used for a hundred years in the hen house. Bring this one inside and throw the mail in it. Make a centerpiece. Create the coolest Easter basket of all time. Collect vegetables and herbs from your garden. Baseballs, kindling, balls of yarn, toys, magazines, pine cones... you name it! 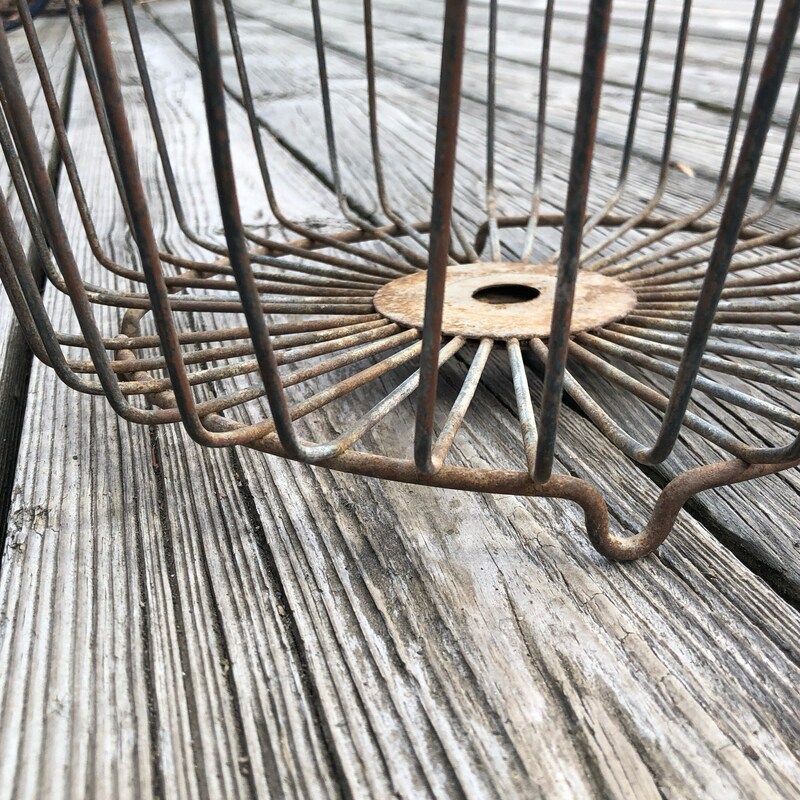 Basket is sturdy and footed. 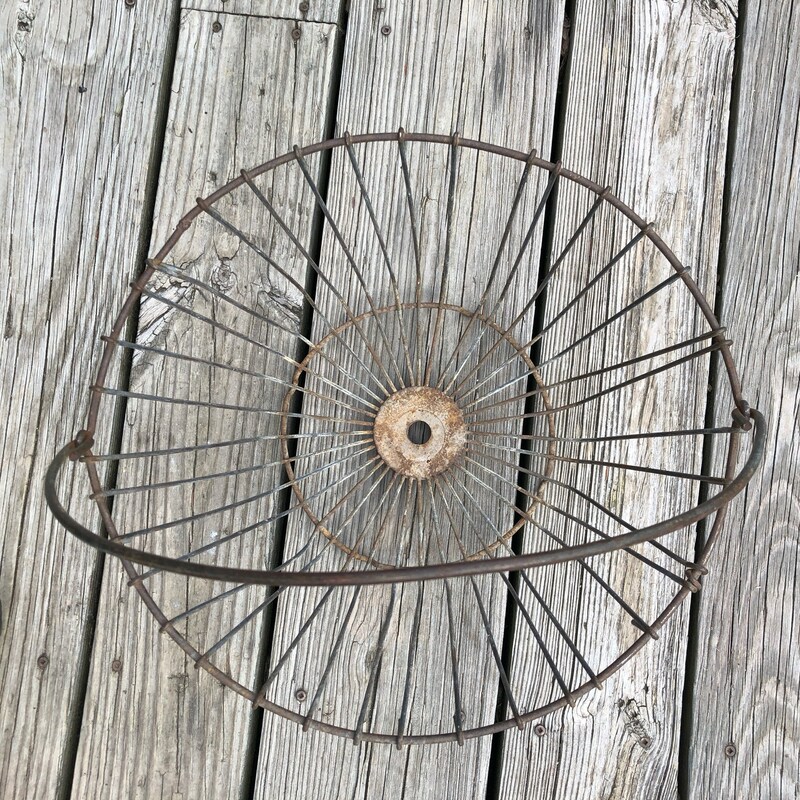 Measures 10” high and 14” across.